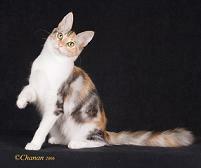 Breed Profiles – Which cat is for you? The Korat has been cherished for centuries in their native Thailand and is considered good luck! Korats have extraordinary powers of hearing, sight, and scent. They are gentle pets, moving softly and cautiously, disliking sudden, loud or harsh noises. Korats are active in their play but are very gentle with children. 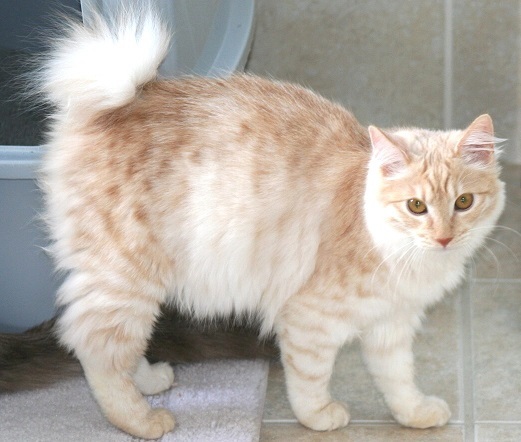 The Kurilian Bobtail is a natural breed that traces is ancestry to the Russian Kamchatka peninsula, Kuril Islands and the island of Sakhalin. The impression that one gets when viewing the Kurilian Bobtail is of strength and power. However, the Kurilian’s wild appearance does not reflect their temperament. They should be described as a clever and gentle clown. 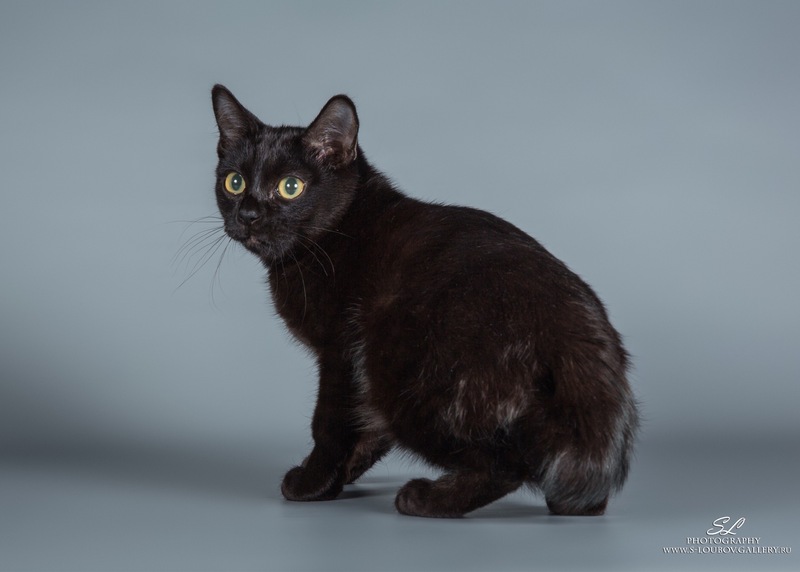 The Kurilian Bobtail is a strong cat, gregarious with a well-balanced character, excellent health, an accepting nature, very active and intelligent. They have great admiration for their human companions, are gentle and love to be caressed, they adapt well to children and other pets. The Kurilian Bobtail can easily jump to great heights, but is remarkably silent in nature, they tend to be non-verbal but for a few musical trills that sound more like bird songs than catcalls. Manx cats originated on the Isle of Man in the Irish Sea. The lack of a tail is a genetic mutation. They also come in a long hair version called a Cymric. They are easy going, yet playful cat. Norwegian Forest Cats are Norway’s natural treasure. They are a medium sized, semi-long hair cat whose personality is gentle, sweet and loving. They come in all colors except pointed colors. They are a relatively new breed to the US, being imported in 1979. The “Weegies” are a popular companion animal and a favorite in the show hall. Old Style Siamese was accepted for registration and showing as of May 2008. These are the type of Siamese cats many people had years ago. People affectionately refer to them as Applehead Siamese since they are rounder than the Siamese that has been shown for the last 50 years. 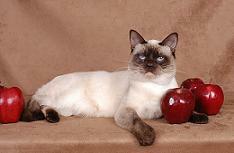 Old Style Siamese is a shorthair cat of medium size. They have an average activity level, an average level of demand for attention, are intelligent, affectionate, typically do not have a loud meow and only use their meow when necessary. They also get along well with children and other animals. 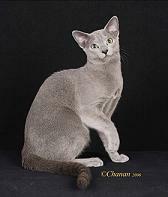 The Oriental Shorthair / Longhair was once considered a solid color Siamese. Orientals are sociable, talkative and affectionate, as well as playful. 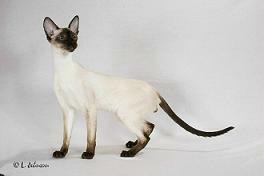 The body and head shape are the same as the Siamese. The Persian cat is sweet, affectionate and easy going. Built more for comfort than for speed, their bodies are heavy, heads are round and broad with large round eyes and small rounded ears; giving the Persian a sweet open expression. Their long, full coats which require regular grooming and bathing. 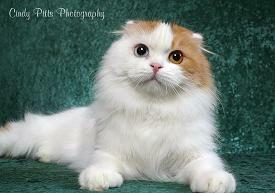 The Persian cat comes in all except the pointed colors. Ragdolls are the peoples’ cats. They are laid back, loving and will follow you around like a puppy. They have a tendency to flop and go limp when held. They are always underfoot or in your lap. 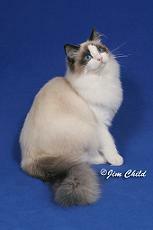 The Ragdoll is a pointed cat and therefore they all have blue eyes! They come in seal, blue, chocolate, lilac, red and cream in color. In pattern, you will find color points, mitteds, and bicolors. 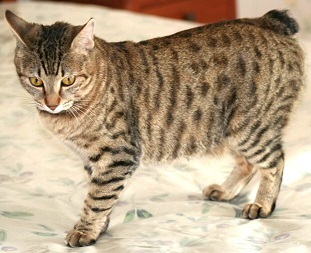 They may also have tabby striping showing which is called Lynx. This lynx can overlay any of the Ragdoll patterns. Ragdolls are a large cat with a gorgeous semi-long plush coat. They make the perfect pet because they are easy to groom, having no undercoat, and are mat resistant. They are great with children and other pets. 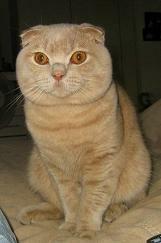 Scottish Fold / Longhair Fold originated in Scotland in 1961. Medium sized with a round head, big round eyes, a broad nose & small ears that fold down highlight the roundness of the head (they look like they are wearing a bonnet!) Their body is strong and muscular. The coat is short and dense on the Shorthair; the Longhair’s coat is medium long and soft. Very “purrsonable”, playful & sweet, they love their people and follow you around. The Siamese cat is very popular with cat lovers. Their light color coats, with darker “points” on the face, paws & tail, along with their sleek bodies, gives them a striking appearance. While their personality varies with individuals, most are loving, affectionate, and bond closely with their owners. They are very vocal cats. The Siberian is a breed of cat that comes from Russia. It is a sturdy cat with a feral(wild), yet sweet face. They have thick coats that were developed because of the cold environment where they lived. They have a strong muscular look and come in many colors. They are an old naturally occurring breed that is relatively new in the US. 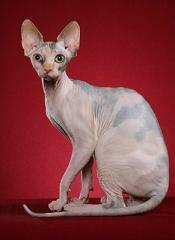 The Sphynx is a breed that is newly accepted into CFF for competition. The cats are not really hairless as some believe; they have fine hair covering their bodies. To feel a Sphynx is like touching a suede hot water bottle. They bond with their humans, are affectionate and make good pets for people with allergies. The Toybob Shorthair is a naturally small bobbed tailed cat originated in Russia, and existing there for almost three decades. They have a compact body, well-developed musculature, and a short tail that consists of several distorted vertebrae. The breed is also known for their large eyes, and the big-eyed expression is what gives the Toybob its sweet-faced look. All colors and patterns are permissible. Feline traits notwithstanding, the Toybob has all of the qualities one looks for in a companion cat. Toybob cats thrive when they are with their people. The Toybob is intelligent, good-natured, affectionate and social; making it easily get along with other friendly animals. 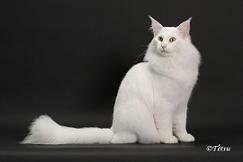 The Turkish Angora is a natural breed to the country of their origin, hence their name. They were imported into the US around 1950. Most of the earliest imports were white, but are now seen in many colors. The white and Van pattern is the most popular. They are a very active breed and love the water, many like to swim. They have a long body and a silky coat. Household Pets in CFF are VIP’s (Very Important Pets). They can be registered and scored for National Top Twenty wins. Any type of cat can be entered, long hair, short hair, old, young(at least 4 months old). If older than 8 months they must be neutered or spayed They cannot be declawed or devocalized. They are judged on health, disposition and “purrsonality”.